At The Eye Gallery we hand-pick a mixture of popular and exclusive frame brands and styles. We carry several independent brands so that you can find a frame that is uniquely you. Our experienced and knowledgeable staff will help you choose frames that best compliment your face and lenses that best compliment your lifestyle. We strive to offer the highest quality and most technologically advanced frames and lenses available. We carry brands to meet every budget and style preference, and we seek out frame companies that are focused on exceptional quality as well as social responsibility. Alan J frames are truly made in America. Each and every frame is expertly crafted with high-caliber materials sourced from around the world by carefully trained craftsmen who are proud of what they do. The Alan J Collection represents quality men’s eyewear. A portion of the proceeds from every Alan J frame sold is donated to Rising Tide, a non-profit organization whose mission is to assist struggling individuals and communities build strong businesses through education and funding programs. Lightweight, strong and minimalist are three adjectives describing Blackfin Zero. All parts of these frames are made by milling a single block of beta-titanium with no soldering involved to guarantee a minimalist aesthetic, unbelievable lightness of weight and amazing strength. The lens mounting pins are able to withstand much higher than normal stress without giving way in the slightest. Made in the Italian Alps out of the finest Japanese titanium, these rimless frames are made to largely disappear on the face. Etnia Barcelona has established itself as one of the premier frame designers and manufacturers in Europe. It produces some of the highest quality frames in the world and a one-of-a-kind experience in the creation of its colors. Etnia Barcelona is a brand that likes to link to the culture and to the world of art through collaborations with world-renowned artists. A portion of proceeds from each sale go to the Etnia Barcelona foundation. This foundation was created with the objective of providing vision care and providing assistance to the most vulnerable families achieving a better view for them and a better quality of life. Fossil takes inspiration from the typical mid-1920’s design, combining it with the desires of the modern customer. This “modern vintage” philosophy hints at classical, but at the same time contemporary, aesthetics. Fossil offers frames in a wide range of styles, both for men and women, in materials such as metal, acetate or titanium. Gucci is one of the most famous brands in the world, and surely one of the most renowned in the eyewear market. Its collections offer a range of models aimed at combining style and sophisticated needs, all characterised by Gucci’s style and unmistakable iconic elements. Gucci are popular with both men and wormen looking for style and luxury. Jimmy Choo, an icon in the world of accessories, is positioned at in the top end market with metal and acetate eyewear collections. The innovative design emphasizes the distinctive Jimmy Choo style, with bright colours and luxury décor, which recall the brand’s accessories. Jimmy Choo is perfect for ladies who want to display their unique style. Known for its crisp color, graphic prints and playful sophistication, Kate Spade's exuberant approach to the everyday encourages personal style with a dash of incandescent charm. From handbags and clothing to tech, children's wear and home decor, Kate Spade's products invite women around the world to live every day uniquely and to the fullest. and their eyewear draws inspiration from these beloved pieces. Longchamp, best known for its foldable nylon bag, Le Pliage, releases its first ever eyewear collection! Taking advantage of the brand’s French heritage and dynamism, the new eyewear collection is the ideal choice for women with a self-confident and feminine attitude. Celebrity Kendall Jenner likes to sport Longchamp eyewear. Marc Jacobs is known for his exuberant creativity, rebellious nature, and unpredictable spirit, all while remaining authentic. His eyewear collections juxtapose conventional traditions with the most innovative techniques and quality. Marc Jacobs creative style works for individuals that want to declare their own identity and personality. Seeing a need in the market for technology that could combat intense glare and harmful UV while bringing the brilliant colors of the island to life Maui Jim engineered the revolutionary PolarizedPlus2® lens. What began as the Classic Collection of seven styles, has evolved into over 125 styles of sunglasses, all of which are polarized and protect from 100% of UVA and UVB rays. 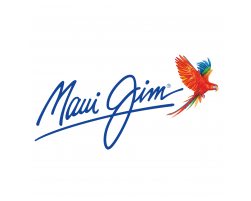 Maui Jim is the premier sunwear company in the world. Established in 1981, Michael Kors is an authentic contemporary fashion brand. Michael Kors eyewear, offers a glamorous lifestyle for the consummate jetsetter that is as sophisticated as it is indulgent and as iconic as it is modern. Michael Kors’ eyewear collections capture the glamor and effortless sophistication for which the designer is celebrated, drawing upon signature details found in the brand’s most iconic designs. MODO is driven by a passion for finding the optimal balance of form and function. Inspired by the precision of architecture, they work with lightness, strength, structure and fluidity. Using the cities they live and work to shape their collections, Modo unites the progressive spirit of New York, Italian craftsmanship, and Scandanavian minimalism in perfect harmony. Modo is also an industry leader in social responsibility with its “Buy a Frame - Help a Child See” program. Do you want glasses that are truly made in the USA? NW77th eyewear is made in St. Louis, Missouri. For years they had a vision of creating a brand that caters to the urban chic lifestyle, by bringing together all of the things that make life interesting, fun, fresh, and exciting. The same company has created signature images for celebrities such as Joe Buck, Nelly. John Goodman, Will Smith, and Bob Costas just to name a few. Beginning in Minnesota as an independent eyewear label, Ogi Eyewear has always remained true to its original philosophy By emphasizing, innovation, originality, quality and value, Ogi Eyewear has refined its vision to earn worldwide recognition. Ogi Eyewear constantly releases new products—bold, colorful, and handmade luxury eyewear—and develops the hottest trends in the eyewear industry. For more than 40 years Prodesign has created beautiful eyewear with a clean-cut Scandinavian feel. Drawing on its Danish heritage they design innovative eyewear with a close-knit relationship between functionality and visual expression. It is all about creating that perfect match, which makes you feel as good as you look. Available in unique styles for men and women. In 1985 Rudy Barbazza created Rudy Project in Treviso, Italy with a firm conviction to improve the performance of athletes all over the world. A love of progress, a passion for style and a keen eye for quality all contributed to give life to his vision: the world's most technologically advanced sports eyewear. Rudy Project never stops researching to find the most advanced materials to develop products that elevate your performance. Technically Cool: the two words that best sum up this vision; the two words that best express the DNA of each and every design carrying the name Rudy Project. SALT. is a premium eyewear brand dedicated to timeless style and effortless beauty. But of course, design means more than just great style. It means creating the perfect fit. SALT. believes that eyewear should do more than just look good; it should fit perfectly too. Because high quality construction is not simply about beauty, it’s also about durability. It is eyewear that will stand up to the rigors of a life well lived. This is all part of SALT.’s commitment to creating products that are made to last. TOMS® Eyewear launched in 2011, and has helped restore sight to over 400,000 people in need. Toms eyewear is inspired by iconic and vintage style, from wayfarer-inspired classics to pilot frames to historic oversized lenses, and every purchase provides our customers the opportunity to restore sight to a person in need. Seraphin is a sophisticated neoclassical collection, that modernizes vintage eyewear with contemporary interpretations of iconic designs. 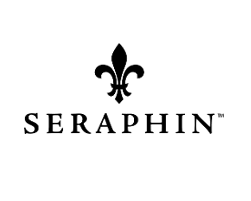 Seraphin is re-defining eyewear by adapting the finest elements of luxury eyewear from the past into fresh, contemporary styles intended to please those interested in luxury at an affordable price. Tom Ford is among the most highly respected and successful designers today. The winner of numerous design awards, his innovative and provocative designs set the tone for an entirely new direction in the world of luxury goods. When other people see you wear a pair of Tom Ford glasses, they automatically know that you are a person of great taste and style. DB4K, from Europa eyewear, is a durable line of children’s frames in metal and plastic designs. DB4K frames are adorable, colorful, and affordable. The Ray-Ban eyeglasses you love are available in a size perfect for kids. They are available in rectangular, square, round and other popular Ray-Ban styles. Miraflex Glasses creates a signature line of Italian made, flexible, plastic frames with no metal parts, making it the safest option for your child’s protective eyewear. At Miraflex, there is no prodigal spending when it comes to your child’s safety. With over 20 years providing quality eyewear, our line of glasses are all BPA Free, Latex Free & Hypo-Allergenic. Ogi Kids delivers style with bold coloration, unique shapes, and meticulous details. Kids and parents alike will love the OGI Kids collection.